September 2018 Student in the Spotlight … Emily! Emily has been dancing at JC Dance for 10 years and attends Ballet and Modern classes. She has been taught by Siobhan this year and was nominated by Siobhan for her hard working attitude in class ! 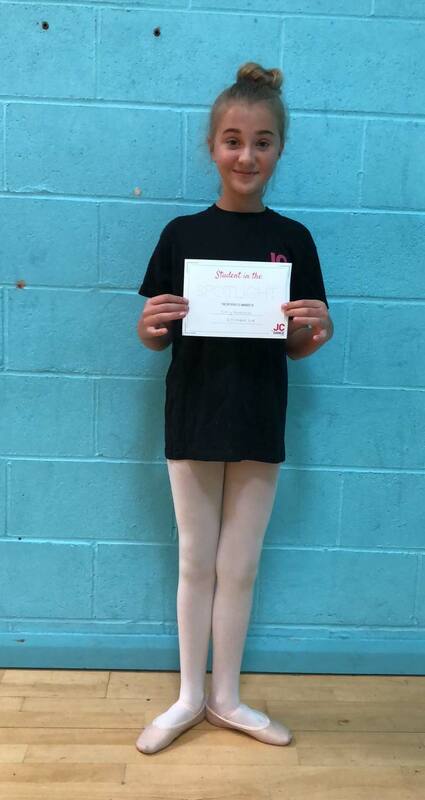 When asked what her favourite thing was about dance, Emily replied that she “Enjoys dancing because it keeps her fit doing what she loves” … Well done Emily!